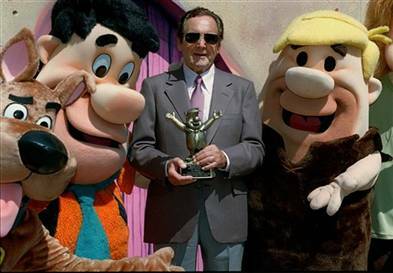 Joe Barbera, half of the famous animation duo Hanna-Barbera, died yesterday at the age of 95 from natural causes at his home in California. Just the name Hanna-Barbera makes me smile, and remember how it would always flash across the screen at the beginning of the best cartoons from the Saturday mornings of my youth. Alongside recollections of watching questionable shows like The Gummy Bears or Chip 'n' Dale Rescue Rangers (I can still sing the songs for both, wanna hear it? Didn't think so), as well as better ones like He-Man and The Smurfs, I spent lots of weekend mornings with The Jetsons and The Flintstones. 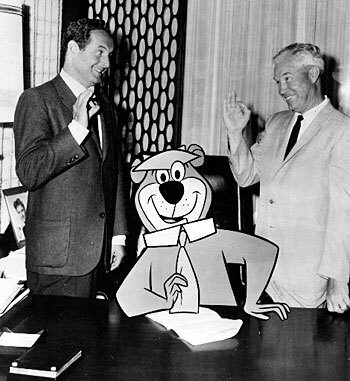 The duo also created Yogi Bear and Scooby-Doo. Their strengths melded perfectly, critic Leonard Maltin wrote in his book Of Mice And Magic: A History of American Animated Cartoons. Barbera brought the comic gags and skilled drawing, while Hanna brought warmth and a keen sense of timing. Hanna, who died in 2001, once said he was never a good artist, but that Barbera could "capture mood and expression in a quick sketch better than anyone I've ever known." Yay for the both of them, for all the joy the've added into countless kids' artificially-sweetened-cereal fueled Saturday mornings. [from The Flintstones] - Frente! That is very sad. What is it these days with kids and anime? What happened to the good stuff? Truly the end of an era. As always, those are great songs. 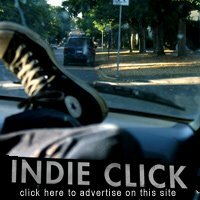 Great songs, but do the actual original songs still exist? The violent femmes weren't around in the 60's to do the original, same with many of those songs. i, for one, want to hear you sing those songs. hell, i just might join in with you. dashing and daring, courageous and caring..
Hope you enjoyed that phone call, nathaniel. Don't challenge me to do something like sing to a favorite show unless you really wanna hear the goods. Duck Tails is next. Yes, many of the original Hanna-Barbera songs have been reissued on CD, but most are out of print. Search Amazon.com for "Hanna Barbera" or "Cartoon Network" and you'll find them, mostly available used from sellers other than Amazon. We found one such collection at our local library. 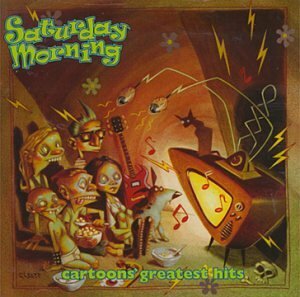 Our 11-year-old son, who has never seen most of the original cartoons, loves the music.